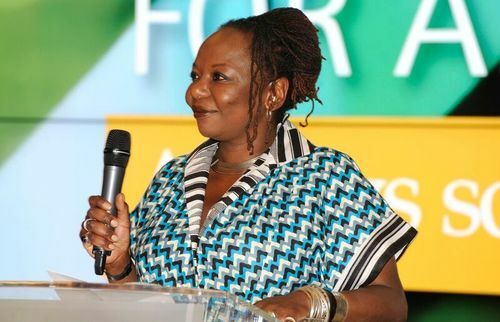 Dr Delia Jarrett-Macauley, Chair of the Board of Trustees and of the Advisory Council of the Caine Prize, has stepped down from her role at the Caine Prize. The Board of Trustees would like to thank Delia for her diligence and dedication to the Caine Prize since her appointment in July 2016. The Board pays tribute to Delia for her stewardship of the Caine Prize, recognised as Africa’s leading literary award, in a tenure that saw the annual awards ceremony make a successful transition from the Bodleian Library in Oxford to SOAS, University of London. At the same time, the Board is pleased to announce that Ellah Wakatama Allfrey OBE, the publisher, critic and broadcaster, and current Trustee of the Caine Prize, has accepted the Board’s invitation to become Chairperson. Baroness Nicholson also expressed her delight that “Ellah has accepted this position at this important time as we enter our 20th anniversary year”. Ellah Wakatama Allfrey, OBE is the founding Publishing Director of The Indigo Press. She was a judge for the 2017 Dublin International Literary Award and the 2015 Man Booker Prize. She is former deputy editor of Granta magazine and senior editor at Jonathan Cape, Random House. She is the editor of Africa39 and Safe House: Explorations in Creative Nonfiction. Her journalism has appeared in the Telegraph, Guardian and Observer newspapers and in Spectator and The Griffith Review. She is featured in the 2019 New Daughters of Africa anthology. She is a trustee of The Royal Literary Fund and sits on the Advisory board for Art for Amnesty and the Editorial Advisory Panel of the Johannesburg Review of Books. In 2016 she was Visiting Professor and Global and Intercultural Scholar at Goshen College, Indiana and Guest Master at the Gabriel Garcia Marquez Fellowship in Cartagena, Colombia.